I have been married for 26 years to Justin. We have two, wonderful sons in college and grad school. After many years of serving churches in youth ministry, I attended Columbia Theological Seminary in Decatur, GA. I am the pastor of Southminster Presbyterian Church in Boise, ID, which is the best use of me to date. Southminster is a welcoming and inclusive congregation in South Boise that seeks to share God’s grace in our community. I serve on the Board of the Covenant Network, a group of Presbyterians who seek to make the church as generous and just as God’s grace. I serve on the Board of the Presbyterian Mission Agency and on the Governing Board of Ghost Ranch. I also serve on the Clergy Advocacy Board of Planned Parenthood. I believe labyrinths allow extroverts to get in touch with their spiritual side. I was on Romper Room as a child. I like my bourbon neat. I believe Colin Firth is the only Mr. Darcy. I always believe the KC Royals will win. I am an 8 on the Enneagram. Traveling in the Middle East really changed my perspective on the world and I’m eagerly waiting for a chance to go back and praying for peace in the region. Siamese cats are the best pets, but I really want a dog. I am also an amateur cellist, soccer carpool driver, and espresso drinker who has somehow become a part of the Bronco Nation–GO BOISE STATE! I used to run, but the old college football injury (no lie) has given me the knees of a much older woman, so now I cross country ski in the winter, ride my beautiful bike, Helen, the rest of the year, and hike in the foothills. You can read some of my sermons and sermon reviews in Lectionary Homiletcs. I am one of the contributors to Abingdon’s Creative Preaching Annual for 2014, 2015, and 2016. I have blogged at There is Power in the Blog. I blog at Revgalblogpals and for Huffington Post’s Religion Blog. I have written articles and liturgy for Call to Worship and for Interpretation. And I have a chapter in the book Keeping the Faith in Seminary, available from Avenida Press and at Amazon.com and a chapter in the book There’s a Woman in the Pulpit, available from Skylight Paths Publishing and Amazon. 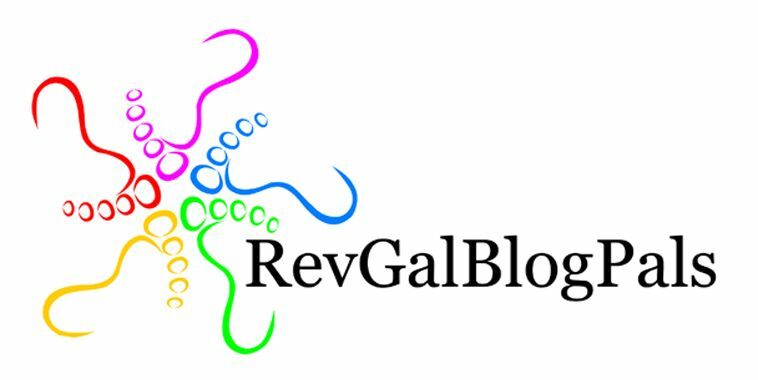 Welcome to the RevGalBlog Pals. I am new too. I am also new to full time ministry (17 months)as a pastor. I am looking forward to reading blogs like yours as I learn to navigate and integrate new terminology, ways of doing things, a new role. I agree with your comment about the Colin Firth and the Middle East. I am curious about your idea that “labyrinths allow extroverts to get in touch with their spiritual side.” I have never been in one. I will check to see if you have written about this on your blog. Nice to meet you as well, Susan! I’m not sure that I’ve written here about labyrinths, but my experience is that when my body is engaged in the act of walking the path, it allows my mind to rest and receive from God. In general, if you leave me alone with my thoughts, I tend to fall asleep, so that can make it difficult to find my spiritual side! Let me know if you’d like more info on labyrinths before you go and walk one. Done the labyrinth at the Old Penetentiary site. It was freezing cold, so we had a large tent put up, with hot chocolate for afterwards. I thought, “What a bunch of crazies.” I pulled up my hood, put my hands in my pockets and walked the circle, slowly, focusing on allowing God’s wisdom to come into my life. Others noticed that I didn’t walk on the rocks, rather, walked on the sod next to them. I don’t know why, it just made sense. But I felt peaceful afterwards, and would do it again. I take issue with the word “lapsed” when you speak of the cello. The Christmas musical program 2011 was only enhanced by the array of many instrumentalists including you. If you have “lapsed”, you must have been in a symphony at one point…..
You are very kind. I used to play regularly and take lessons and was a part of a youth symphony. Then I had years where my cello resided in a different state. I am starting private lessons again today and hope the “lapsed” description will describe me less and less! I have no questions and every confidence that it will. Have a great rest of the week. I am looking forward to meeting you in Chicago for the Covenant Network conf. I am a friend of Marge Brasill…..love your blog! Thank you Lorene! Look forward to meeting you as well. Hi to Marge and Jim for me! Truly, I would like to know your connection to sea glass! Caught my eye right away. Honestly, it was a play on the name. But my extended family lived on the coast of SW Washington state and collecting sea glass when we would visit them was one of my favorite things to do. My grandfather and his sister were quite artistic and would take sea glass and make mosaic type pictures with it. I have a few of them in our home and they are treasured possessions. Marci, I am new to your blog. I, also, am a CTS grad (’78), now retired (Pastor Emeritus, Dahlonega PC, Dahlonega, GA). Thank you for putting into words things I wish I had said. 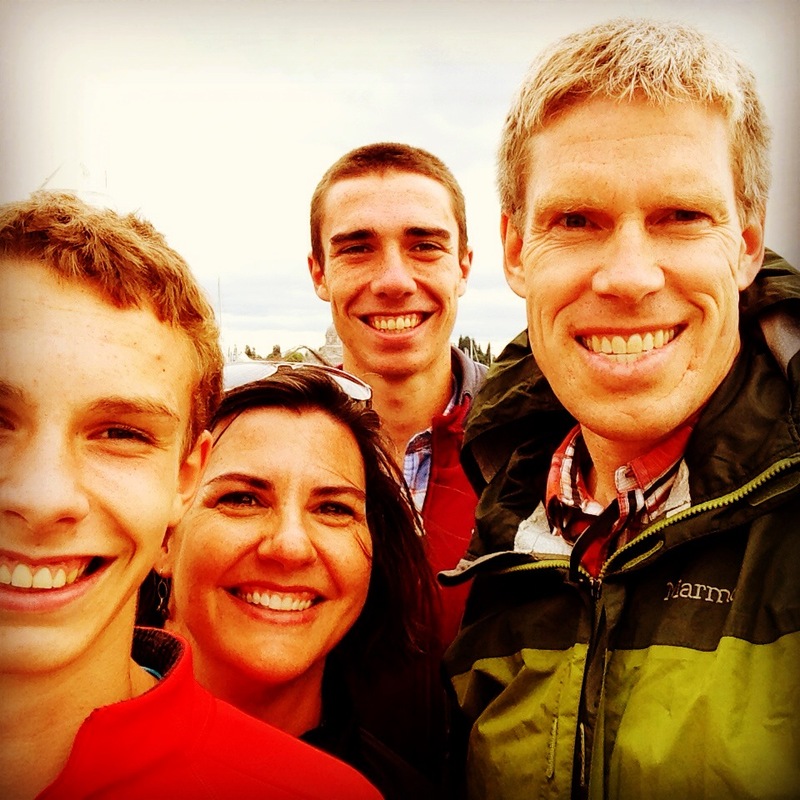 Southminster, or any church for that matter, is lucky to have you. Thanks Frank! We met at a Montreat youth conference while I was in seminary I think. Appreciate your comment! I thought I had met you at Montreat, wasn’t sure. I am glad that you jogged my memory. Do you know Laura Baarda? She is pastoring somewhere in Idaho. I was on CPM when she came through for ordination. I also had her on Youth Council when she was in high school. Great young lady! She is in the presbytery next door to us, I think. Hope to meet her at camp one summer! We would love to have you join us this coming Monday to mark this important moment and demonstrate support for the working families of Idaho who continue to struggle with wages that do not allow them to adequately provide for their families. The Minimum Wage RS is scheduled for a Print Hearing this coming Monday, February 10th at 8am, in the Lincoln Auditorium in the Senate West Wing (WW02) of the State Capitol. We urge you to turn out, and exemplify a respectful and a thankful decorum. Our goal is to win for workers and their families and this is a critical moment that requires bipartisan support moving forward. We know this is likely to be a multi-year effort, but it’s critical to the welfare of all Idahoans that lawmakers and the public be engaged in this issue. We want to stress how important it is to bear witness to this historic and long over due address of our concerns, and show that Idahoans care deeply about this issue. But, we also realize that real change depends on how we approach this moment. Additionally, we encourage you to call and write your representatives, and ALL members of the committee, and simply ask that you begin by offering your thanks for allowing this to be a part of the 2014 Legislative session, for hearing our concerns, and allowing us the opportunity to elevate an issue that is so important to the working people of Idaho, and their families. We ask for your attendance, and your respectful, polite and gracious engagement. This is the beginning, and we want to open up the dialog, engage our representatives, and give Idahoans the raise they so desperately deserve. The first step in getting there us there is to create a climate of appreciation, kindness, and tolerance as we continue to work to get us all there together. The coalition working on this has been working hard to get us here, and now we need your to help ensure that we can continue generating positive momentum moving forward. The proposed bill would increase the hourly wage to $9.75 split into a two year incremental increase which would be implemented by July 1, 2015 and then tie it to the CPI. Training wages apply to persons 18 and over, and raise from $4.25 to $4.70, and to $5.35 by 2015 and reduced the 90 day training period to 30 days- so that seasonal workers cannot be paid less than minimum for the existing 90 days and then be fired. The critical part of this bill is that it ties wages to the CPI going forward… and creates a CONSERVATIVE bill that provides, dialogue, leverage, debate, and distinction. What is a Print Hearing? At a print hearing no testimony will be taken. members or other witnesses in the audience are prohibited. We want to stress that we are here to bear witness this historic and long over due address of our concerns. We want to thank ALL members of the Committee for hearing us, and allowing us the opportunity to elevate an issue that is so important to the working people of Idaho, and their families. I will be traveling. Sorry to miss it! Best about page I’ve read so far. I’m looking forward to following you, Marci, and reading more. Hello, Marci! I’ve been serving as PT children’s ministry director at my Methodist church here in Colorado for almost two years, and have been an occasional reader of Worshiping with Children. Then I clicked on a Facebook post featuring your 2013 post Starward, which I loved, and went on to read who wrote it. And it turns out, I know you! I am a 1993 Trinity grad from the chemistry department, and I remember both you and Justin. I’ve been a non-practicing chemist since 2002… still finding my way in church life, to tell the truth. But I am looking forward to following your blog. Wishing you and your family the best in 2016. Great to be back in touch! What a small world. Marci, I would really like to visit with you about the Star Words. I would like to use that with the congregation I am serving as pulpit supply. (I’m a CRE) You gave me a Star Word this year. Thank you. How do you come up with your words? Are you in the revgals group on Facebook? The star word list is in the files there. I am not, I just sent a friend request.